When the bright lights of Hollywood aim at you, there’s a great amount of pressure from the industry, press, and society. Dorothy Dandridge had some struggles during her life, but her talent for acting and singing proved that she was just as worthy as any white Hollywood actor. That is just before the spark of her career and personal life faded. Dorothy Dandridge was born in Cleveland, Ohio, on November 9, 1922. While she was still a young child, her parents separated, and her mother Ruby Dandridge trained Dorothy and her sister Vivian to be on stage. The sisterly duo became known as The Wonder Children, and they sang, danced, and performed skits in Southern churches until the Great Depression hit in 1929. Ruby Dandridge moved to Hollywood with her two daughters in hopes of showcasing their talents while getting paid. The duo’s success did not start immediately. Like most success stories, you have to start small before you can make it big. These small Hollywood roles came as being extras for the series of Our Gang in the short film titled “Teacher’s Beau” before they got bigger roles, such as in the Paramount musical The Big Broadcast of 1936 (1935), the Marx Brothers’ A Day at the Races (1937), and Going Places (1938). The Dandridge Sisters were becoming stars, and they even performed at the famous New York Cotton Club and went on a European tour while Dorothy was in her teens. While being on tour, Dorothy met Harold Nicholas from the Nicholas Brothers dance duo, and they fell in love. As WWII began in Europe, their tour was cancelled. When the sisters returned to Hollywood, Dorothy started performing as a solo act. Dorothy and Harold appeared together in the film Sun Valley Serenade (1941), where she and the Nicholas Brothers did a dance to the song “Chatanooga Choo Choo,” played by the Glenn Miller Orchestra. The following year they got married, and in 1943 she had her only child, Harolyn Suzanne Nichols. Movie opportunities continued for Dorothy even though she devoted much of her time to being a mother. She played roles such as a singer in Atlantic City (1944), a queen in Tarzan’s Peril (1951), a factory worker in Carmen Jones (1954), and a mistress in Tamango (1958). Unfortunately, Dorothy’s marriage to Harold ended in divorce in 1951. 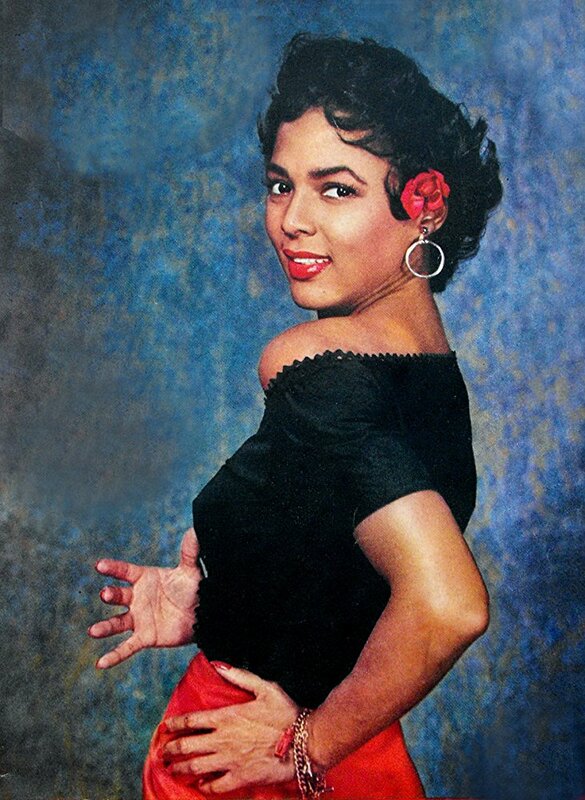 Her career, however, grew as she became a successful solo singer who performed at the Mocambo Club in Hollywood with the band of Desi Arnaz (Lucille Ball’s husband) and at La Vie En Rose for 14 weeks. Dorothy Dandridge became an international star who went on to perform in London, Rio De Janairo, San Francisco, and New York. In 1953, she had her first major role in the film Bright Road, where she played a teacher and appeared alongside African-American actor Harry Belafonte. Her next lead role was as the title character in Carmen Jones (1954), which also co-starred Belafonte. Dandridge received praise for her dancing, acting, and singing talents, and she helped pave the way for future stars of color in Hollywood. Dandridge rejected the opportunity to appear in The King and I (1956) because she refused to play a slave. But it wasn’t always rough in Hollywood. 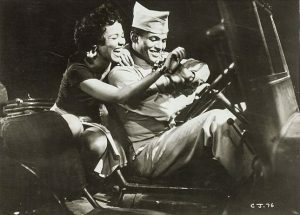 Dandridge became the first African-American to be nominated for an Academy Award. She earned the recognition for the Best Actress category for Carmen Jones, but she lost to Grace Kelly (The Country Girl). In 1955, she was featured on the cover of LIFE Magazine, and in 1959 she co-starred with Sidney Poitier in the Academy-Award Winning Porgy and Bess. (If you read my column on Sidney Poitier, you’ll remember he was the first African-American to win an Academy Award.) Years later, on January 18, 1983, she was inducted into the Hollywood Walk of Fame in Los Angeles. Far away from the cameras inside her private home, Dandridge found out her daughter Harolyn was born with brain damage, so she paid to provide her with private care for many years. In regards to her love life, she started a relationship with Otto Preminger, the director of Porgy and Bess, but their interracial romance was unaccepted. Her second marriage was to Jack Denison in 1959, but his abusive behavior and mishandling of her money resulted in a separation in 1962. As a result of the lack of strong and powerful roles offered to Dandridge and her continuous failed romances, she consumed alcohol and took antidepressants. The threat of becoming bankrupt made her return to nightclub performances, but her success was not the same. 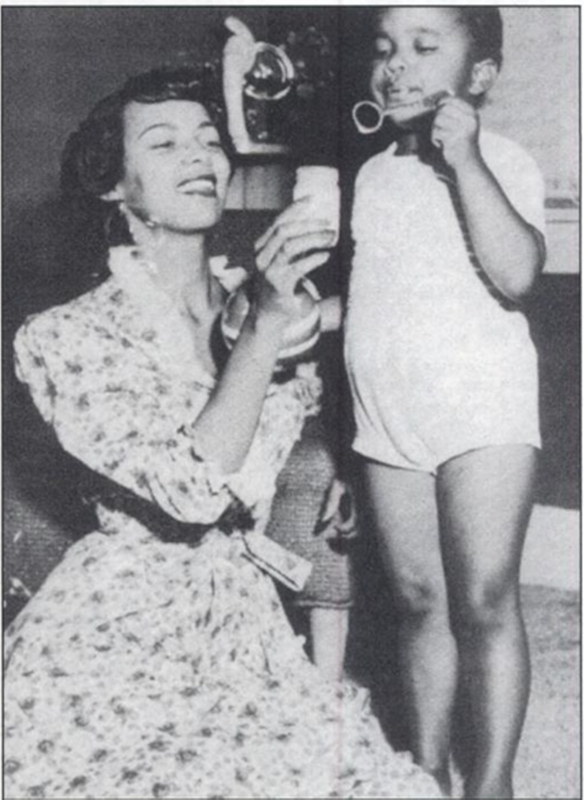 By 1963, Dandridge could no longer afford the 24-hour medical services for her daughter, and she had to place her in a state institution. The stress in front of the Hollywood cameras and in her personal life caused Dandridge to have a nervous breakdown, and on September 8, 1965, she was found dead in her home at age 42. The cause of death was due to an overdose of antidepressants. Despite her struggles, Dandridge worked hard to make her own mark in Hollywood. The multi-talented star earned recognition for her work, and she was one of the first African-Americans to lead the way for other colored artists.